If you have a small tree or shrub in your yard that would work better in a different spot, fall is a good time to transplant it. First things first, only young trees or shrubs are eligible for transplant. If you try to move an older shrub or tree, it won’t likely be able to survive the move. However, younger plants tend to transplant well, and doing so between late October and early March is a good rule to follow. This is because it gives the trees time to establish their roots. 1. 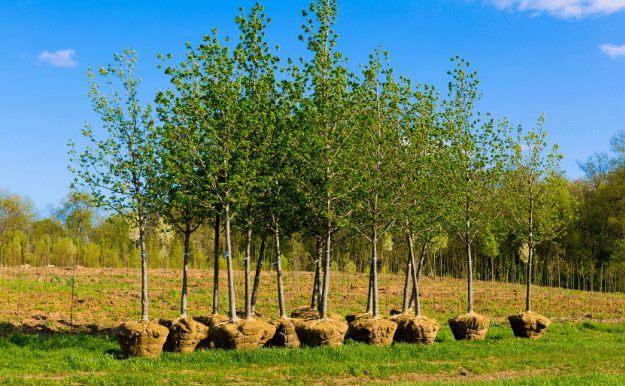 You’ll want to do research on the type of tree you have so you can choose the right place to plant it. Trees prefer different levels of sun and shade, and soil conditions. You’ll also want to know how tall the tree is likely to get, to ensure that it won’t affect the power lines and underground utilities. 2. Young trees work best. They grow quickly and have root balls that are smaller and easier to manage than that of older trees. However, no matter what kind of tree you transplant, you can expect it to go through a period of shock, so take extra care after the transplant. 3. Aftercare for your transplanted tree should include fertilizing, pruning the roots, and digging a deep enough hole. If you do all those things, most trees will transplant nicely. 4. Depending on the species of your tree, you may have an easier time transplanting it. That’s another reason why it’s important to learn about its species. Elms, bald cypresses, and red maples tend to fare well due to their fibrous root systems. 5. Make sure you don’t transplant a tree unless you’re sure the new location is suitable. Also, don’t try to transplant a tree that appears stressed or deteriorated. 1. Make sure your tree is well hydrated. The root system will lose a lot of water during the process. 2. When you dig up the tree, make sure you wrap the root system in burlap or newspaper to reduce breakage during the move. 3. Water the tree as quickly as possible. 4. Follow up with extra care for the tree. Check out this video for more information on properly transplanting technique.